I have been homeschooling my toddler since September so that I can prepare her for pre-k. We have been doing pretty good and I love downloading and printing out worksheets for her to work on. 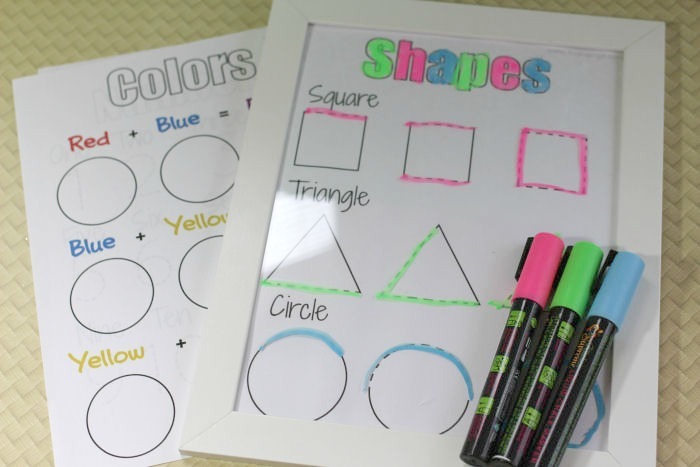 I usually laminate the worksheets that she will use over and over and give her a dry erase marker. I wanted to try something different as she was getting bored of the same worksheets. 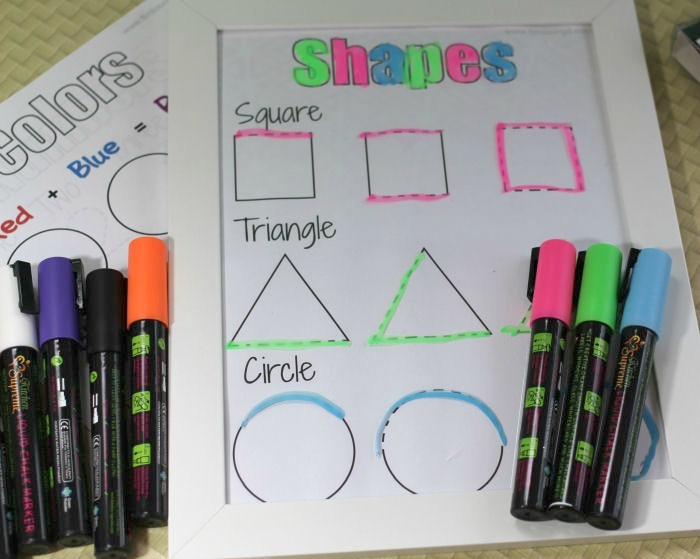 I got to review these amazing and brightly colored liquid chalk markers that work great with glass. 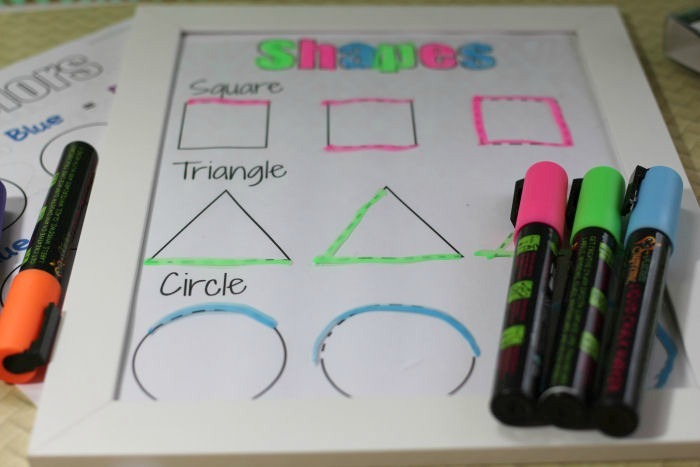 I decided to get some frames that I could slip the worksheets in to write on top of the frame. Since the liquid chalk markers were so bright, colorful and liquidy my daughter really had fun using them. They wrote really smoothly on the glass and were easy to clean up with just a baby wipe. 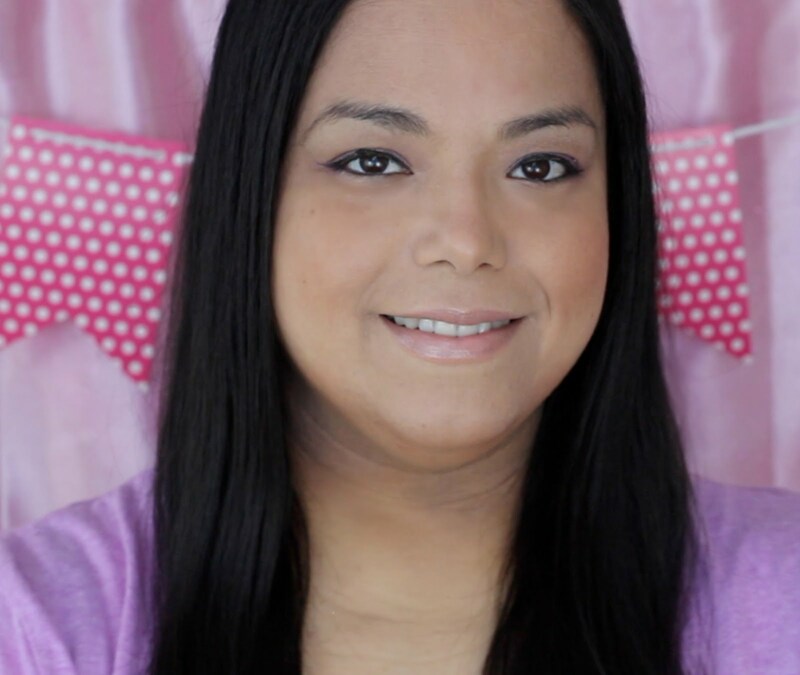 She loved having so many colors to choose from and it helped her practice all the different colors she knows. 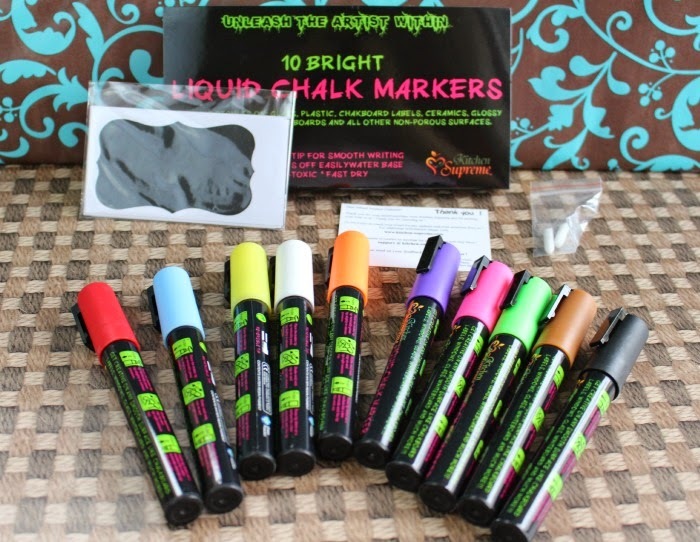 The Liquid Chalk Markers from Kitchen Supreme comes with ten liquid chalk markers that have a reversible tip. There is the chisel tip for fine detail artwork and the rounded tip for writing and coloring. You use them to write on glass, plastic, chalkboard labels, ceramics, glossy boards, white boards, LED boards and all other non-porous surfaces. The Kitchen Supreme brand also comes with eight unique chalkboard labels that are made from strong vinyl. Each marker has plenty of liquid so I can see them lasting a long time. I love that the Kitchen Supreme Liquid Chalk Markers wipes off easily and is non-toxic which is the perfect combination when you are using them with a toddler! I want some of those markers! They are so cool and this is an awesome thing to do with them. With both of my kids home for the summer, I'm going to have to try this out! After all, summer learning is so much more fun in bright colors, right? 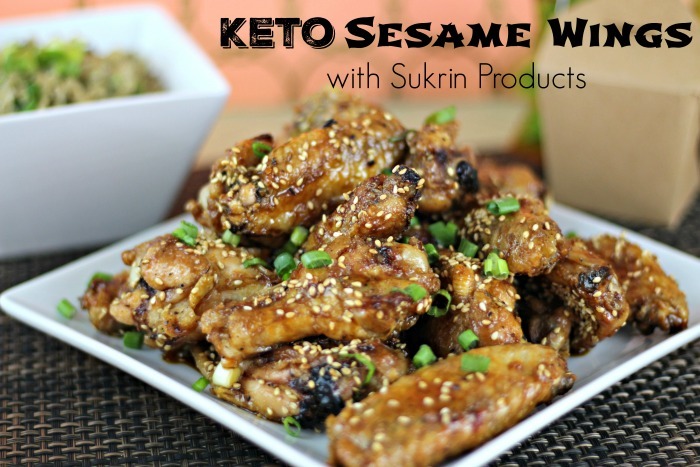 These look like a really cool product. Love the colors! I have some of those, and I just love them! The colors are bright and really stand out against my black chalkboard. What a great--and FUN--idea! 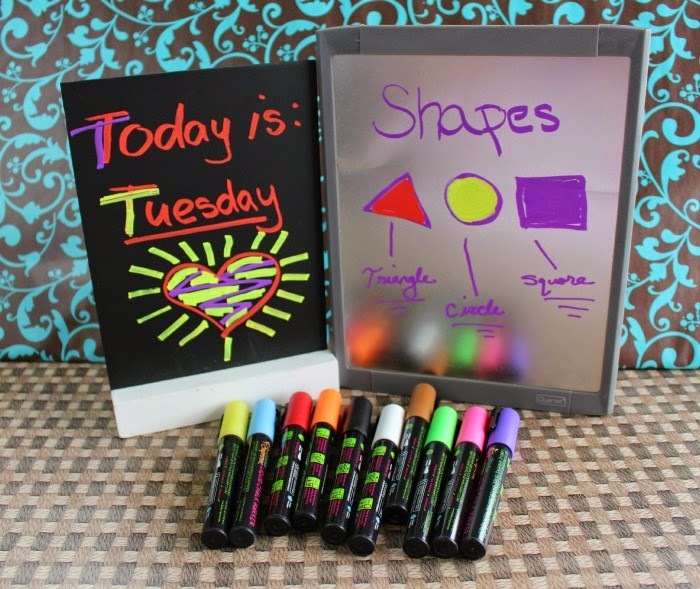 We love chalk markers--These colors are so bright and vibrant! What a fantastic idea. My kids are older and they would still love to do this. This is SO much fun! We love chalk markers! Those markers seem so cool! I really like the effect they have on the black paper. Very cool!